An important quality of a good translator is curiosity. Striving to learn new and interesting things from different spheres of competence will eventually improve your work and keep it current. One of the useful ways to stay tuned in to the tendencies and new technologies used in translation are translation blogs run by independent translators, companies, or associations. Since there are a great variety of websites, it will take you some time to find the ones that are most suitable for you. The list below will give you an idea which blogs are worth checking out in 2018 if you are looking for details about starting a career as a freelancer, billing your clients, learning new words and terminology, or simply having fun. If you are just starting your career as a professional translator, and especially as a freelancer, you might need some advice on how to organize your work. The blogs below will help you with practical tips on how to approach clients, determine price and much more. Thoughts on Translation is a high-quality translation-focused blog written by Corinne McKay, an American Translators Association certified French to English translator. You can consider it a one stop shop for tips, tricks, and translation news, focused on human translation provided both by agencies and freelancers. Here you will find advice on marketing and doing business as a translator and read about the author’s own experience in the profession. Between Translations is run by Jayne Fox, a German into English translator, who tries to keep her readers updated with the most useful tips for a professional translator. You can read about the necessary skills of a good translator or which are the best CAT (computer-assisted translation) tools and how to use them efficiently. Other great pieces of advice are provided on how to price translations or work with clients from different time zones. Translation Times is written by twin-sisters Judy and Dagmar Jenner who are both translating and interpreting in Spanish, German, English, and French. They offer great articles on the practical side of the job such as rate negotiations, cancellation policy, and software recommendations. In addition to that you will find information about translation workshops and conferences, book reviews, academic translation programs, and job opportunities. About Translation offers information, news and opinions about professional translations and you can find anything from ancient translation practices to current translation conferences. The blog is run by Riccardo Schiaffino, who is a certified translator from English into Italian. Even though, it has not been updated recently, the topics covered are written in an engaging and professional manner and the site is worth keeping an eye on. Oxford Dictionaries Blog is a great place full of resources for translators interested in linguistics. Here you can find curious facts about both well-known and rare words, as well as read about the recent influences that change the language. The blog covers serious and funnier topics such as how animals understand what people say, which makes it a great way to get your dose of knowledge and humor for the day. Naked Translation offers a great mixture of useful tips for translators and interesting notes on the etymology of some words. In the blog you will find great articles with stunning images and lots of tricks to make your job easier. It is written by Céline Graciet and is focused mainly on translations from English into French and vice versa, however it contains tons of useful information for all translators. Unprofessional Translation is the place to find curious details about the origin of the translator and interpreter professions. Although not updated on a regular basis, the blog is still worth checking if you want to learn about competitions for child translators, and bilingualism, about the interpreters of some infamous historical figures or about the oldest depiction of an interpreter. 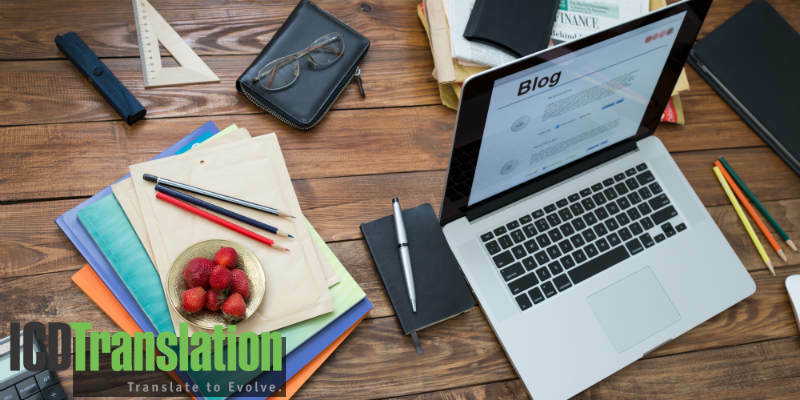 Despite its name, the blog is quite professionally written and tackles topics such as Natural Translation, Native Translation and Language Brokering. Signs & Symptoms of Translation is a blog dedicated to medical translations. It is written by Emma Goldsmith, who is a Spanish to English medical translator. Here you can also find some useful information about CAT tools and how to use them. Intralingo is for those, who deal with and/or love literary translations. The blog does not only give insights into these types of texts but also presents ideas on how to make money from it. It is definitely worth reading if you are a literature and translation enthusiast. Glossarissimo is a great blog that will help any professional do their work better with its rich database of glossaries. Here you can find monolingual and multilingual resources and terminology for translators and interpreters. Transblawg is dedicated to German-English legal translation. The posts, written by Margaret Marks, are full of humor and entertainment, which makes his blog fun and quite useful at the same time. It offers help and information to translators on a variety of topics and specializations. This is just a small fraction of the great specialized blogs you can find on the web. Make sure to check the fields that you are most interested in as well. Translator Fun is for those who would enjoy some posts and cartoons with a heavy dose of humor. The topics the blog tackles will sound more familiar to those actually working in the field of translation, who allow themselves looking at the job from a less serious angle. Mox’s Blog is another cure for a long and tedious translation project, when you need some laughter to power you up. The blog offers a series of funny cartoons that present the everyday life of a translator in a humorous manner. Musings from an Overworked Translator is a blog that successfully combines the serious and the funny parts of the translator’s job. Here you can find useful information about new translators, e-mail etiquette and much more. Funny jokes, cartoons, and videos to make your day brighter. If you are working with Spanish or planning to add it as a language, the blog run by Scheherezade Surià is the place to visit. As an experienced translator and simultaneous interpreter, she has a lot to share with her audience. Kudos to a professional for choosing to write about languages and translation in her mother-tongue – Spanish, despite the fact that English is far more popular for blogging. If you would like to test your understanding of Spanish, while learning something useful, click on Las 1001 traducciones and enjoy. Translation is a job that involves many aspects in addition to the mere rendering of a text from one language into another. Being a freelance translator also means being a good entrepreneur and business person as well as having a great sense of humor. Following the blogs above in 2018 will help you improve all of these qualities and provide you with useful tips and tricks that will make your job easier. Werner Patels is not the author of Transblawg. Margaret Marks is. It appears you are correct Jill. Our apologies to Margaret Marks! The article is corrected. Thanks for reaching out. awesome information. It is nice about translation blogs. Very resourceful post everyone should read once especially translators. Thanks for sharing the informative blog and putting this together! Very informative and useful post everyone should read once especially translators. Will look forward to reading more of such interesting content from your side.Thanks for sharing this blog and putting this together! Semantics evolution is Document translation service provider for all kinds of business. Thanks for sharing such a informative resources with us because there are limited resources in translation industry. Yes, great blogs, my favourite is PROZ.COM blog, updated regulary, and interesting posts. Great blog. The information you provide were useful. Keep updating this for more information. Thanks for sharing translation services. How can we use your services? language without changing its meaning. Let our linguistic team of experts does the translation without a hitch at a fair price. Thanks for sharing this valuable information with us. Great work & keep it up.